YOUR INTENSIVE CARE HOTLINE - My ventilated Dad in ICU is already on CPAP but they won’t wean sedation! Should I discuss in the family meeting of how to get him off the ventilator? My ventilated Dad in ICU is already on CPAP but they won’t wean sedation! Should I discuss in the family meeting of how to get him off the ventilator? My Dad is still in a coma after bypass surgery, what could be the reason for him not waking up? In this week’s episode of “YOUR QUESTIONS ANSWERED“, I want to answer the questions from one of my clients BOB as part of my 1:1 consulting and advocacy service! Bob’s father was admitted in the ICU due to a deteriorating condition. Prior to the event, his father was in and out of the hospital and was on the ventilator many times, he also had a liver transplant due to taking medications for his kidneys. Lastly, his father was recently diagnosed with a chest mass. Patrik: At this point in time, there are so many unknowns for you. Because I know the industry so well, I can lay it all out for you and say “This is what’s happening there. Have they done this? Have they done that?” and really make sure he will get the best that they can give him in there. Bob: That sounds good. What would you want me to do? Patrik: Where do we start? For example, if he’s not waking up, have they done a CT of the brain? Do you know that? Bob: I think they did about a week or so ago. They never mentioned it, but I’ve seen that may have been okay although I wasn’t really sure they would have those things like that. Patrik: That’s definitely one thing you need to ask. You need to ask for the results of the CT scan. The other thing that I can do … Sorry before I forget about this, if you want me to, I can record this call because then you can use this as a resource. I can send this to you when we come off this call. Patrik: I can do that. Yes, I can definitely do that. You should be asking for the results of the CT of the brain. That’s one thing. With the CT of the brain and he’s not waking up, there could be something in the results there that would point towards a brain injury potentially. If they haven’t mentioned it, there may be no brain injury but something needs to be communicated to you in regards to that. The next step with the CT brain should be a Neurology consult. Basically, if he’s not waking up do you know whether they consulted a Neurologist? 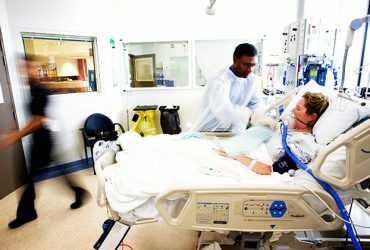 THE 10 THINGS YOU DIDN’T KNOW ABOUT SEVERE HEAD OR BRAIN INJURIES (INCLUDING TRAUMATIC BRAIN INJURY AND STROKE) IN INTENSIVE CARE THAT YOU MUST KNOW, ESPECIALLY IF YOUR CRITICALLY ILL LOVED ONE ISN’T WAKING UP OR IF THE INTENSIVE CARE TEAM IS SUGGESTING A POOR PROGNOSIS OR EVEN WORSE, IF THE INTENSIVE CARE TEAM SUGGESTS A “WITHDRAWAL OF TREATMENT” OR A “LIMITATION OF TREATMENT! Bob: I do not know at this time. Patrik: I’m making notes here as well. I’m making notes as we talk because I would send that to you in an e-mail, so again you’ve got it all documented. The other thing is if he’s not waking up, the question … We talked about this briefly. I mentioned the Propofol and I mentioned the Midazolam. If he’s not waking up, Midazolam is long-acting, Propofol is short-acting. What happens is if patients are on Propofol for sedation and you stop the Propofol, they should wake up in no time. When patients are on Midazolam, they don’t wake up quickly. I assume that your dad must have been on Midazolam and potentially on Morphine. Do you know whether he was on Morphine or Fentanyl? Bob: They haven’t mentioned Morphine. Patrik: You think he has been on Fentanyl? Patrik: You don’t know. Again, those are questions you need to ask and why is this important? Those drugs, Midazolam or Fentanyl, they are long term acting. They’re not washing out of the system quickly. What happens is if patients have Fentanyl or Midazolam for weeks, and in your dad’s case it’s been 16 days now, especially with kidney failure, that stuff may still be in the body system. By dialyzing him, it may help to wash that stuff out of the system and it may help him to wake up. The body excretes toxins with the kidney and with the liver. We assume the liver is working. If the kidneys aren’t working and he still has all of those long acting drugs in the system, there may be a delay in waking up. If your dad was to wake up tomorrow, his whole prognosis would change. Their approach would change. One of the main things … Go on. Patrik: Yes, Glasgow Coma Scale. 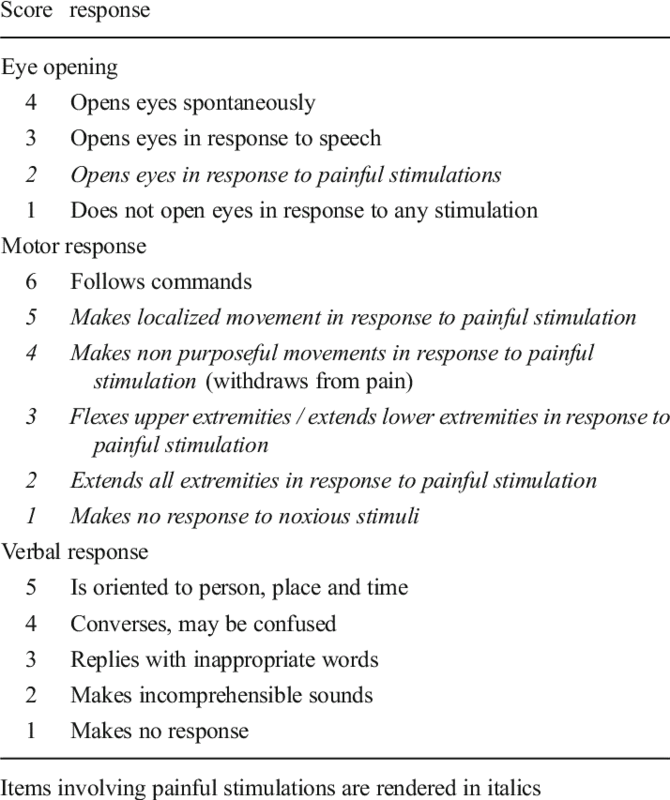 Do you know what is Glasgow Coma Scale? Bob: I do not know, but my father’s eyes are open and he can follow sound, if pushed. He can nod his head rudimentary with exasperated look. Bob: … Exasperated look I told you about the other day. It looks to me he’s exasperated with the fact that he’s been there for X number of days. That would suggest that he’d be quite higher than the first level. Then the pain level, that’s yesterday. He put the tip of his finger and he responded to pain. I think my reading of the Glasgow scale. That’s my interpretation. Patrik: Can you check your e-mail? I just sent you Glasgow Coma Scale. We’ll quickly look at that. You can access your email where you are? Patrik: If you bring up the Glasgow Coma Scale that I just sent you, we’ll quickly look at that. Just give me one sec. Bob: His eyes opened. He can open his eyes but he can continue to keep his eyes are open. He would certainly respond to command, depending on situation. Patrik: His eyes are open. He can’t talk obviously. He only gets one point for verbal response but he will get six points for obeying commands. Bob: The only problem is he can’t move his arms and legs. Patrik: Absolutely, but what is important there? That gives him a GCS of 11 and that is the maximum GCS for somebody on a ventilator. He can’t get more than 11. You need to use that as an argument, because, yes your dad may not have woken up fully but if he’s obeying commands, that means whoever is talking to him, he can follow instructions. His brain is intact. He can’t move his arms and legs because he’s myopathic. His muscles are weak because of muscle wastage of lying around in ICU. That’s part of being critically ill. I’m jumping around a bit here. The Glasgow Coma Scale, we can almost tick off because his Glasgow Coma Scale is as good as it can get for somebody on a ventilator. It can’t get any better. You need to use that as an argument. If they want to withdraw treatment, his brain is intact. He’s showing that by obeying commands. If they ever talk about withdrawal of treatment again, your argument needs to be “Hang on a sec. My dad’s brain is intact. Why don’t we ask our dad what he wants?” He can nod or shake his head, can’t he? Bob: Yeah, I don’t know if he’d be able to comprehend. Patrik: Absolutely. We don’t know whether he will or he won’t, but the argument that his brain is intact given the situation he’s in should take the argument of withdrawing treatment away completely. Patrik: Absolutely. Have you heard of Alfie Evans? Did you follow Alfie Evans’ case in the UK few weeks back? Bob: Yeah, he was a child. Patrik: The whole argument around Alfie was that his brain isn’t working. The family was disputing that but the whole argument was around “Well, Alfie has a degenerative brain disease and his brain is not working.” In your dad’s case, your dad’s brain is working. How would you withdraw treatment on somebody where the brain is intact? If your dad is getting more awake, they need to ask your dad but here is then my next line of argument. If his brain is intact, they do a tracheostomy for example. They can stop the sedation completely. If they had done a tracheostomy last week, a week ago, one of the major advantages for tracheostomy is you can stop sedation very quickly, because a tracheostomy is comfortable. There is no argument about withdrawing treatment. Sometimes, people use the argument around, your mom, your dad, your husband, whatever, is in a vegetative state. That is not the case in your dad’s situation. Bob: Are they expecting someone who’s completely lucid can respond to with a slight delay. My father is not responding to the environment but if you say to him “Are you okay?”, maybe not every single time but often he’ll nod his head. When he’s lucid, he will but he comes out of lucidity. He’s not lucid all the time because of what’s going on. Patrik: Basically, what you are asking is what are the expectations when somebody’s coming out of an induced coma. Is that your question? Patrik: It’s a very good question. There are no one size fits all, there isn’t. What do I mean by that? People come out of induced coma very differently, depending on the medications they’re getting. I explained to you earlier the Propofol versus Midazolam. The Propofol, people wake up with a bang often. The Midazolam, there’s often a delay. Even with the Propofol, there can be a delay mainly in the older population. Your dad might have had some Propofol and may still not wake up quickly. That could well be the case. We don’t know because we don’t know what medications he’s had. To answer your question, there is no one size fits all. It’s very different for very different individuals. You see, a lot of people that I consult, they’re coming to me where the family members have a brain injury after a stroke or after potentially a brain trauma. That is all not the case in your dad’s situation. Your dad’s brain is intact. With that, it could be as simple as getting him off all sedation because we still don’t know whether he’s off all sedation. Once he’s off all sedation and he’s still not waking up, let’s get the dialysis going again. Let’s get all the toxins removed and see if he’s waking up. Those are the next steps that need to happen. When you see your dad for example, are they sitting him up in the bed or is he lying flat all the time? Are they stimulating him? Bob: Basically, he’s horizontal on the bed. Now and again, they’ll adjust him because there’s some blackness to his toes, depending on the nerves. Some of them as you told me, I’ve come across some are more attentive than others. There are several position to make him more comfortable. It depends, but generally he is basically horizontal. Patrik: There are two ways that this could go. I keep coming back to the tracheostomy. Once somebody has a tracheostomy, in my ideal world your dad should have had a tracheostomy a week ago. Once he has a tracheostomy, he could have been off all sedation because a tracheostomy can be tolerated without sedation whereas a breathing tube often can’t, because it’s in the mouth. It’s very uncomfortable. A tracheostomy is very comfortable. 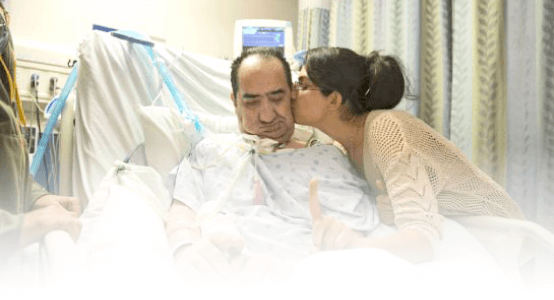 Once a tracheostomy has been done, the next day your dad could be sitting out of bed. It may look impossible for you at this stage, but by stopping sedation, by having a secure airway … And a tracheostomy is a secure airway whereas a breathing tube is a very insecure airway. 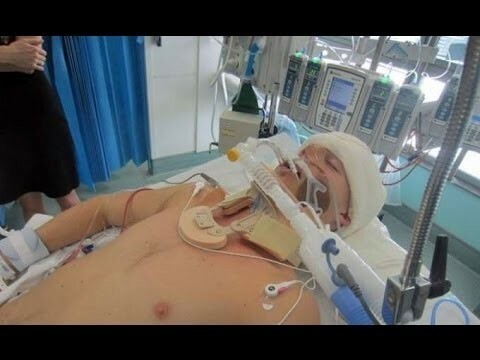 By having a secure airway with a tracheostomy, by being off sedation and by being stimulated and mobilised, your dad could be in a different position now if they had done this. Patrik: Yeah, a little bit blunt. He’s withering away in bed. Patrik: Is he getting any physiotherapy? Bob: There is a physio who comes but I’m not sure how much they can achieve, because as you say he’s withering away. They only spend half an hour on the bedside. Patrik: Do you know what they’re doing? Bob: If I ask “Can you do a tracheostomy?,” I’m fully sure their response will be “No, he’s not going to progress. He’s doing poorly. We don’t think he’s got any prospect and so on. Patrik: Yes, the first response might be a no. That could well be the case, but what I’m laying out to you is really the ideal scenario and also things that I’ve seen over the years in good hospitals, where I believe they provide really world class care. What we could do, for example … Again, I would be very happy to set up a call with you and the doctors and go through what we’ve just explained now, and ask them about “Hey, what about mobilisation? What about physiotherapy? The brain seems to be intact if he’s got a GCS of 11.” Lining up the argument just on the other end, just as much as they seem to line up the argument from their end and saying “He’s not waking up.” It’s a matter of making a counter argument, almost like an alternative care plan. The other thing is you’re telling me that he’s not moving his arms and his legs, and I’m not surprised. He’s been lying in bed for the last 16 days. He’s myopathic. Bob: He is moving his arms and legs without essential control. Patrik: That’s much better than I thought initially. Initially, I understood he’s not moving them at all so that’s much better than I thought. Bob: He is moving now and again. Patrik: Sure. That’s good because there are patients who don’t move at all after two weeks, three weeks in ICU. What you’re describing there is not bad at all, because again, you need to use that to advocate for your dad. What I can see really is we need to lay out an ideal scenario for your dad, and we need to see what they say. What’s definitely in your favour is … I can’t tell you how many calls I get every day, in terms of saying “They want to withdraw treatment because they’re telling me my dad is in a vegetative state or my mom”, whoever the person might be. Your dad’s brain seems to be intact and that is one of your main arguments. Also, I still want to know what medications he’s on, what could potentially keep him still asleep. Even if he’s off all sedation, I would bring in the argument about dialysis because he still hasn’t metabolised all of the sedatives and they keep him asleep potentially. There is the mobilisation part. It’s a big one. People think because people are critically ill, they can’t get out of bed. Yes, it is challenging. I’m not saying it can be done easily, but it can be done. There’s no doubt about it. Bob: If he got out of bed, that would be fantastic. Patrik: Absolutely. With the breathing tube, yes he could get out of bed but it’s much more difficult. If the breathing tube comes out, it could be life threatening but let me ask you this. You mentioned earlier, he’s breathing on CPAP. How many days has he been breathing on CPAP, do you know? Bob: About since Friday last week. It’s about five, six days. Patrik: Then, the next question is why can’t they get him off the ventilator? Why do I ask this? Somebody on CPAP means he’s probably on minimal support. CPAP is the ventilation mode that somebody is on before they get off the ventilator. Have you heard of sleep apnea? Have you heard of the condition sleep apnea? Bob: I’ve seen a video on it. I didn’t quite understand it. Patrik: That’s okay. Why do I bring sleep apnea into the mix? Patients who have sleep apnea are often having CPAP overnight with a mask. Your dad is on CPAP with a breathing tube, so that means he’s probably at the cusp of coming off the ventilator. If he was in a different ventilation mode, I would say “He’s got a long way to go to come off the ventilator.” Given that I know he’s on CPAP, he’s in the ventilation mode where people come off the ventilator. Bob: I think they have tried. Bob: I think they have tried, and what they’re saying is they couldn’t get him to breathe on his own. They’ve tried but they didn’t succeed. Patrik: Just give me a sec. I’ll send you something. Hang on, that’s not the one. Just give me one second please. Just have a look at this. I’m sending you a picture. Open it up and have a look. Did you get it? Bob: Just refreshing. It hasn’t come yet. Patrik: It might take a moment because it’s a picture. It takes a little bit longer. You’ve got it? Patrik: Can you see; on the top it says SPN-CPAP? Patrik: SPN stands for spontaneous. Don’t worry about what CPAP stands for but at the end of the day, your dad is breathing spontaneously. Yes, that means he’s triggering every single breath. Yes, he then will get support from the machine but at the end of the day, he’s triggering every single breath by himself through his own efforts. A patient on CPAP is as close as coming off the ventilator as any patient could ever be. The ventilation mode patients get off the ventilator is CPAP. That’s the ventilation mode that gets them off the ventilator. I don’t want to get too technical here. Unless he’s on a peak of 10 and on a pressure support of 15. I argue your dad is probably very close of coming off the ventilator. 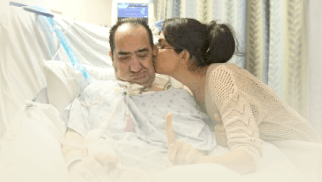 If he was to come off the ventilator, the whole conversation would change. If you are telling me your dad is lying in bed all day and they’re not stimulating him and he’s breathing in a CPAP mode, all he needs potentially is a push. He needs some physio. That could be the missing link. Bob: He wouldn’t be on a ventilator with a tube obviously. Patrik: You think that that’s stopping them from doing mobilisation and physio? Is that what you think? Patrik: No, no. The devil is in the detail. No, no. Here is what needs to happen. For example, when somebody is on CPAP and they’re coming close to coming off the ventilator, every morning there needs to be a physiotherapist coming to the bedside, sitting up your dad, talking to him and doing some chest physio. That’s their job. That is their job. Me as a bedside nurse, if I was looking after your dad and I know he’s breathing on CPAP, my first thing in the morning would be to sit him up, head up, give him a wash.
Patrik: Absolutely, give him a wash, stimulate him, wash his back and then get the physio in, let’s do some chest physio, especially if he’s breathing in CPAP. Patrik: It is exactly as you said. You can see there are some nurses that are more proactive than others. They’re more energised than others. Yes, that’s all part of it but something like that needs to be driven by the in-charge nurse. It needs to be driven by the medical staff. Just because your dad is 78, they might think “Oh well, it’s not worth doing it.” Well, it doesn’t matter. Age does not matter. This is a life. I believe that we need to … You’ve got enough to begin with. We can continue now. We’re coming close to the half an hour mark. We can continue and we can continue talking, or you can go back with what you’ve got now and I will summarise it in an e-mail. You can start asking some questions. Bob: What I’ll do is I’ll try and digest what you’ve told me. We’re very near the one hour. Bob: I know what they’re going to say. They’re going to say “Dialysis is not likely if he’s not responding.” I know we’re going to have that conversation. What would be my response? Patrik: Absolutely. Any talk about end of life, any talk about withdrawal of treatment, any talk about end of life, your first response needs to be “My dad’s brain is intact.” For example, have they talked about end of life in front of him? Bob: Not in front of him. Patrik: Good, because that would be the first thing you need to stop. If they talked about end of life in front of him, that would be highly inappropriate. Your next response to that is then, number one, the brain is intact. Number two, if you want end of life, ask my dad. Make sure he can come off the ventilator because he’s close. Take him off the ventilator and let him decide. The reality is once he’s off the ventilator, there is no talk about end of life. Bob: You say take him off the ventilator, but what they’ll say is they can’t. Patrik: That could be their response, but then you go back to “How do you get a patient off the ventilator?” Well, you start stimulating a patient, what we’ve just talked about, sit him up, get some chest physio in, make sure he’s not on any sedation which is another question you need to ask, whether he’s still on any sedation. If he’s still sedated, there’s a very good chance he may not come off the ventilator. Bob: Right, then that goes to the tracheostomy. Patrik: That, or taking off the sedation completely which we don’t know whether he is or he isn’t. Take off the sedation completely. 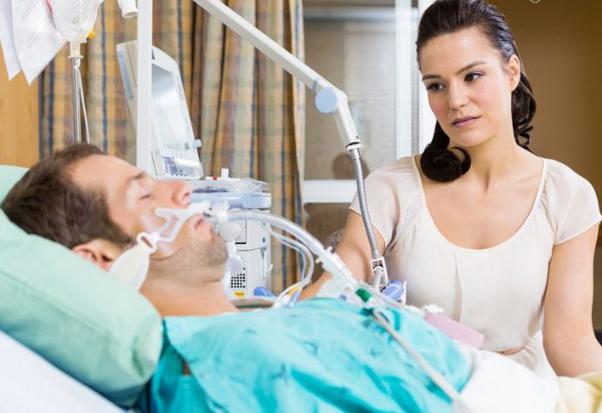 Give him a chance of waking up, continue the dialysis to get rid of any toxins. As you can see, it’s all linked. One links to the other, but here is the next thing then. Besides the clinical things, the other thing is they have end of life care policies or withdrawal of treatment policies. They need to follow that. Just because you don’t agree with that, they just can’t go on your dad’s bedside and stop everything. They need at least consult you, and they haven’t done that. They’re just telling you. They haven’t consulted you. Here is another thing. If they ask you for a meeting, I would not go on till you have the agenda in writing. This is really important. Do not go into a meeting unless you have their agenda in writing, so you can prepare and buy time. Bob: We were going to go to a meeting today. That was just to question them on why they’re not going to continue with the dialysis. Bob: Should we still go to that meeting? Patrik: What time do you have the meeting? Bob: I’m not sure. My sister is going to go and try to speak to the consultant. Patrik: I’ll tell you what I would do. Given what you know now, and I understand if your sister’s there you may have to consider other family members, of course. Knowing what you now know, I tell you my experience is when they start talking about end of life and when they then want to line up a meeting, they want to push this further. I have two suggestions. Number one, cancel the meeting or number two, ask for the agenda in writing. Bob: If we cancel the meeting, then the dialysis is going to remain off. Bob: If we cancel the meeting, then there’s no way that dialysis is going to be restored. Patrik: Basically what you are worried about is if there is no meeting, that you could be missing out on crucial information. Is that what you’re wondering? Bob: Well, no. The dialysis, they want to put him back on the dialysis. With the meeting, we were hoping to just encourage them to perhaps put him back on the dialysis. Patrik: I see. Now I understand. It’s basically you asked for the meeting, not the other way around. Bob: Yes, they haven’t pushed me into a corner. Patrik: You’ve got to get out of that corner. I see what you mean. I think if you do have a meeting, it’s your agenda and not theirs. If you feel like it’s heading in a direction where it’s their agenda and not yours, you need to stop. You need to be prepared to walk out. I’m all for working with people, don’t get me wrong. I’m all for working with people, I’m all for making friends. But you can see what they are trying to line up for you, and you need to push back before it’s too late. You can be nice about it. You’re a nice person. You’re a reasonable person. I’ve given you the facts and you can lay it all out to them. I’d be very happy to do it for you. We don’t need to be rude about it. It’s just asking questions and seeing what they say. Bob: Just one other question, sorry Patrik. The next kick in the teeth will be that the blood pressure is too low. His heart’s not working properly if the blood pressure is too low. Patrik: Is the blood pressure low because the heart is not working or is the blood pressure low because of other issues? Bob: I’m not entirely sure. Patrik: What’s important there then is you haven’t mentioned any cardiac issues, any heart issues. Do you know, for example, if a Cardiologist has been involved? Bob: I really haven’t been told about a Cardiologist being involved. Patrik: If they are telling you the heart is not working properly or the heart is too weak or something along those lines, please … For me as a health professional, that’s not enough information. I would want to know, is there some cardiomyopathy? I don’t want to get too technical here, but I would want to know more information. Yes, the heart can be weak but it could also be temporarily. Here is another thing. The blood pressure may be low because, two things. Number one, he could be dehydrated because he has been on dialysis. Number two, the blood pressure could be low because he’s still on sedation. Number three, his blood pressure could be low because he could have an infection. There could be a multitude of issues why he’s having a low blood pressure. It would not necessarily mean the heart is not working properly. Yes, it could but there could be a whole lot of other reasons. Patrik: I think absolutely, absolutely. If he’s been on noradrenaline (inotropes/vasopressors) of one, you said one to two, that’s minimal. That’s minimal. Bob: You know. I think there may be two different types, but then again it’s on two. He did go to one, then went to one and a half and now he’s back on two. Patrik: Right. You wouldn’t know what to ask or what to look for either. The other thing that I will do is I will send you some articles around … I have one article where it says, how to wean somebody off the ventilator. You can read through that. I also will send you some articles around when to do a tracheostomy. I really do believe now that we’ve spoken about this, given that he’s in CPAP, the first thing before even looking at tracheostomy needs to be, how close is your dad coming off the ventilator? That needs to be the question. Bob: You can stop now. Bob: I’d have to digest what you’ve told me. Patrik: Yes. Absolutely. What I’ll do is I’ll summarise it in an e-mail, and then depending, you can use the remaining time for me. We can talk to the doctors if you like or we can have another chat like now. It’s really up to you, would be happy to talk with you and your sister, wherever you see fit. Bob: I’ll be coming back to you. Patrik: Sure, one last thing. I know this is a very stressful situation for you. I totally get it; this is very stressful. You need to stay positive. It’s easier said than done, much easier said than done but you need to stay positive and you need to knock the negativity from them back. You staying positive is half of the battle, no matter the outcome. No matter the outcome. 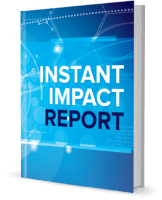 Over 90 percent of ICU patients survive. I’ll repeat that. 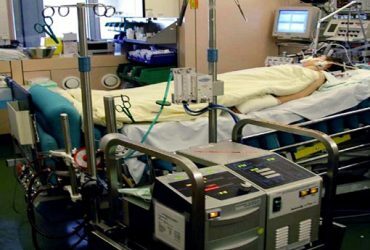 Over 90 percent of ICU patients survive. Why should your dad not within that 90 percent bracket, just because they’re negative? They’re just negative, that’s all. You need to stay positive. 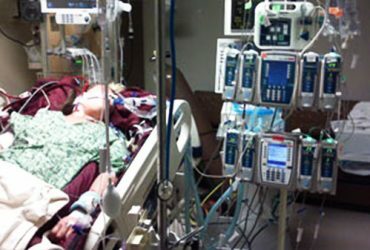 90 percent of ICU patients survive, very important number. Bob: The negativity comes from them. Patrik: You need to spell it out to them. You need to spell it out to them in terms of they’re counting beds, they’re counting money. You need to spell it out them. You can do it nicely. Bob: That’s perfect, thank you. Bob: Will you send me the recording of this? Patrik: Absolutely, I will send you. 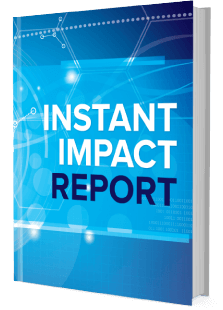 Patrik: I will send you the recording and I will send you a quick summary e-mail. Patrik: All the best for now, stay positive. Patrik: All the best for now. Bob: Thank you. I’ll be speaking to you soon. Patrik: Absolutely, take care for now. Patrik: Thank you so much. How long can a breathing tube or an endotracheal tube stay in? HOW LONG DOES IT TAKE TO COME OFF A VENTILATOR/ RESPIRATOR IN INTENSIVE CARE? The ICU team is not following the policy regarding the treatment protocols for my mother. How can I respond to this? What are the chances of survival after a tracheostomy? My Dad is still in a coma after bypass surgery, what could be the reason for him not waking up?